Get in on the EPS action with these 5 reasons to build your own! Compared to the past blanks, these retooled Elite Pro Series blanks are identified by the “NEPS” part number to signify the addition of the incredible Nano Resin system. 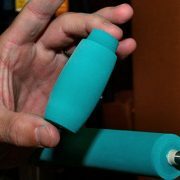 This Nano Resin system allows the EPS blank to be as thin and lightweight as possible while still having the correct material and strength throughout the rod blank. Producing smaller diameters for superior sensitivity, but without costing any loss of power or durability, these blanks feel truly incredible on the water. More information available at fishmhx.com! 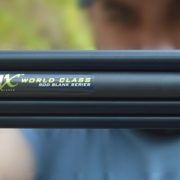 When anglers receive an MHX Rod Blank, they do so knowing the blank’s design has been developed to ensure the ultimate performance and experience for their fishing application. 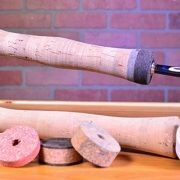 Engineered with specific environments, techniques, and species in mind, MHX Rod Blanks are developed as solutions for any angler looking to enhance their performance in a given application. 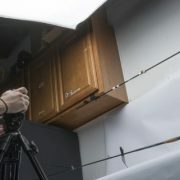 Once the angler’s needs are identified, MHX Rod Designers research and develop the best blank to get the job done. Next, these MHX Regional Pros return suggestions for the prototype’s performance to MHX Rod Designers, who then tweak the blank accordingly. MHX uses this advanced research and development system to sustain rod blanks with the highest quality and performance around. Like all MHX blanks, the new Elite Pro Series blanks were put under strenuous tests before reaching the market. 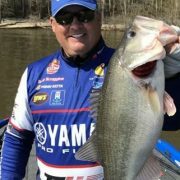 And let’s just say even the pro anglers testing the blanks, couldn’t stop asking for more! Outperforming and outlasting other options, the EPS blanks bring a lightweight and sensitive design backed by the durability and strength to guarantee an unbeatable performance and experience. 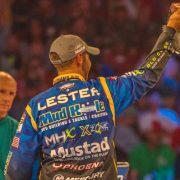 Quickly championed by professional fisherman across both freshwater and inshore competitions, this updated MHX Elite Pro Series sets the new standard in performance, finesse, and feel for rod blanks. These EPS blanks are available in assorted actions from Extra Fast and Fast to Moderate-Fast, organized in powers from light to heavy with multiple combinations in between, and rod lengths ranging from 6’6″ to 7’8″. The EPS blanks have been fine-tuned for an optimal feel while working baits and setting the hook, and then each blank is ready to show off its raw strength when it’s time to fight and land fish. After establishing the superior performance specs behind the new EPS blanks, we have to get a better look at the satin black finish. Besides the performance driven design of the Series, each EPS blank comes in the bold satin black finish to back its performance excellence with a strikingly sharp appearance. Whether building an Elite Pro for a worming, spinnerbait, or all around spinning rod, or to target freshwater and inshore applications, the perfect EPS blank is ready and waiting for you at Mud Hole!